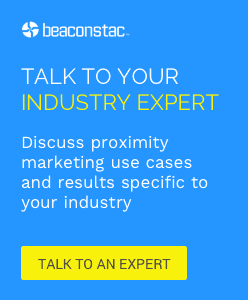 Are you a passionate iOS developer eager to solve real world problems using beacons? Come, spend your day learning and building amazing location-enabled apps with us. If you are in New York and are excited about beacons and Internet of Things, this is one event you shouldn’t miss. Read about Beacon Hack Day New York and registration criteria here. Our engineers are raring to share what they’ve learnt and we are excited to learn about your ideas. At the end of the hack day, the app you build and the beacon you use is yours! Yes, every participant gets to take home a beacon. We’ve stocked up enough beacons for any app that you may want to build and enough refreshments to keep you running the whole day! * The app could be a hobby project published under your name or a professional app published by your employer/client in the App Store. If you satisfy the criteria, please request an invite now. Prizes worth over $1,000 to be won in a single day! The winning app will be chosen by the MobStac team. Please read the rules of the hack day below. Every participant gets to take home a beacon! Not to mention, the experience of playing with real beacons. There will be enough and more refreshments to keep you running the whole day. 0730 AM – Registration and Breakfast begins. 1200 PM – Hack begins! 0700 PM – Hack ends! – You can register as an individual participant or bring a teammate along. – While registering, please select quantity as 2, if you’re registering as a team. Please note that each team cannot have more than 2 members. – Teams can comprise of 2 developers or one developer and a designer. – All teams must have at least one iOS developer, who has worked on an app that is available in the App Store (or pending approval). – If are registering as an individual developer, you can team up with other developers present at the hack day. – The app that you mention in your registration form could be a hobby project published under your name or a professional app published by your employer/client in the App Store. – All developers must bring their own MacBooks with running Xcode 6 or above. You may not be able to participate in our sessions, otherwise. – Please bring along your provisioned iOS device (BLE-enabled) for testing your app. – Come fully charged up with loads of enthusiasm to geek out on the newest technology! What are you waiting for? Request an invite to Beacon Hack Day New York and don’t forget to follow #BeaconHackDay for all the updates on Twitter! India’s first Beacon App Hack day – We are excited! Are you? I’ve created an app with my friends called “CloseTip”. It’s a new social media application for real time interaction with your environment. Using beacon technology you are now able to interact not only to the people around you but with nearby stores, restaurants, parking lots and wherever you have a beacon. Please, download it at play store ( https://play.google.com/store/apps/details?id=com.closetip ) and check it out!